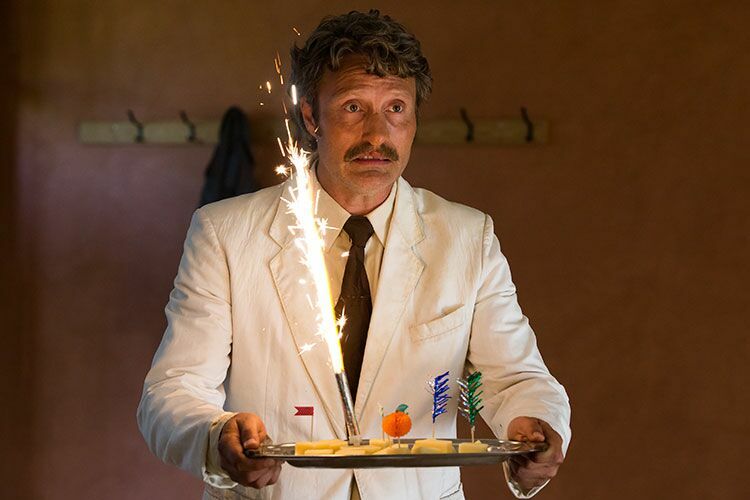 Although many audiences know Mikkelsen as the titular character on NBC's Hannibal, or the brooding Bond villain Le Chiffre in 2006's Casino Royale, his work in his home country of Denmark is extensive and impressive, with several movies as well as a television series under his belt. One of the first big roles that Mikkelsen has on his resume is as Tonny the drug dealer in 1996's Pusher. There are three movies in the Pusher series, all depicting the dark under-belly of Copenhagen. Tonny is a low-level criminal, who is deeply affected by drugs and his relationship with his cynical father. Open Hearts follows two couples who are tangled in a web of unfortunate circumstances, immediately following a car crash. Joachim is wounded by the other driver Marie in the crash, making him hospital-bound indefinitely. Marie's husband Niels (Mikkelsen) is a doctor treating Joachim, but in the process falls in love with Joachim's fiancee, and they have an affair. Open Hearts is also a TIFF alumni! Mikkelsen stars as the lonely teacher Lucas, who is trying to get his life together during a lengthy custody battle for his son. When things are starting to look up finally, his life crumbles when a little girl tells a seriously damaging lie about Lucas, saying that he was sexually inappropriate to her. 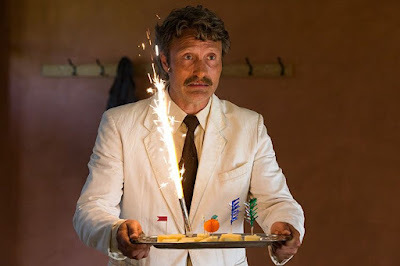 This film is definitely not for those who are adverse to sad cinema, but it is a captivating story with some of Mikkelsen's best work (especially during the Christmas church scene).